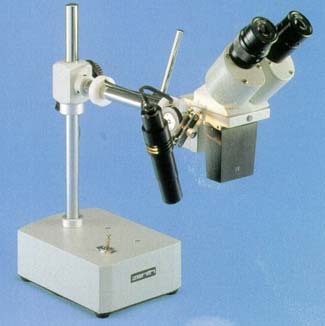 The Zenith Scholaris-400 is a wonderfully versatile and easy to use instrument, providing a perfect platform to start discovering the fascinating wonders of the micro-world! 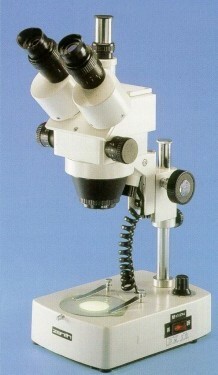 Elegantly designed and robustly constructed, the Scholaris-400 makes an ideal beginners microscope. 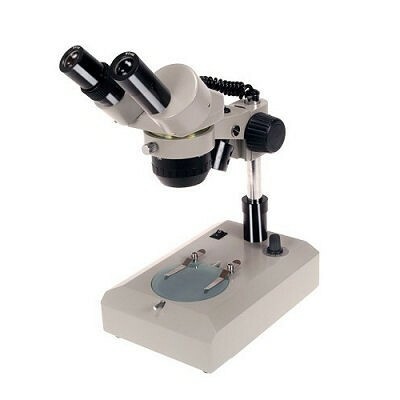 Featuring dual-LED illumination (transmitted and incident) for the examination of a wide variety of specimens. 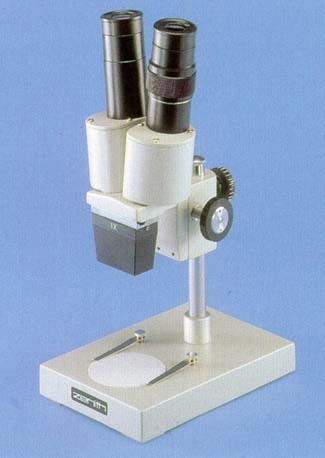 The substage transmitted illumination allows the examination of prepared microscope slides and transparent specimens at 40x, 100x & 400x magnifications, whilst the incident top illumination allows opaque objects (e.g. coins, whole insects etc.) to be observed at 40x & x100. 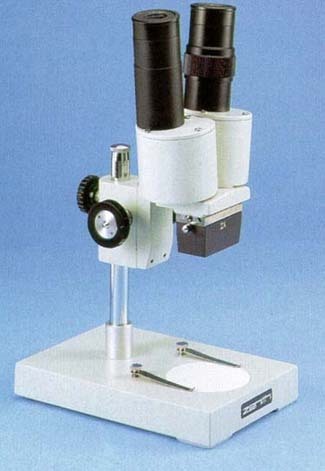 Supplied with an accessory kit, including 5 x prepared slides, 5 x plain slides, cover slips, test tube, pipette, probe and tweezers. Requires 3 x AA batteries (not supplied). 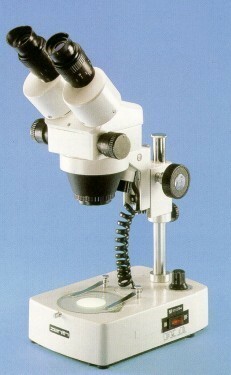 Another purpose built student microscope, featuring both coarse and fine focussing mechanisms. 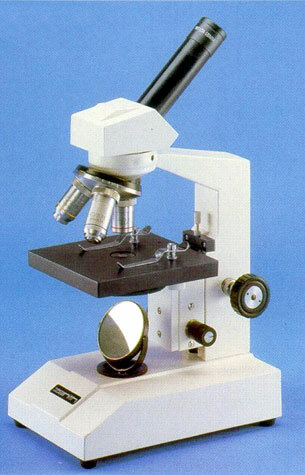 Anti-tamper safety features include locked-on eyepiece and stage slips, slip-clutch on the focussing movements to prevent over-focussing and a focus-stop to prevent damage to glass microslides and objective lenses. 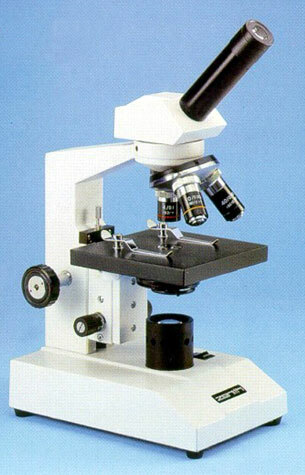 A very useful and versatile instrument for use throughout education and industry. Features 12v 10w halogen illumination and two magnifications of x10 and x20 as standard. 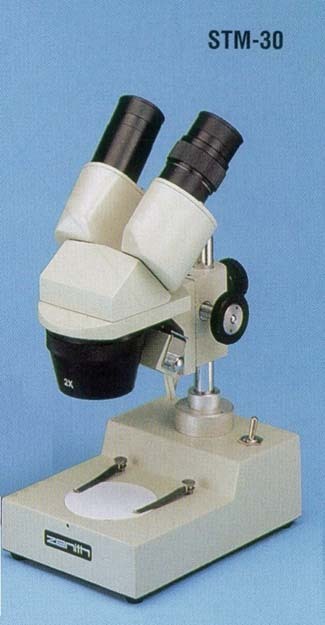 The long boom arm is adjustable to vary the viewing angle of the stereoscopic head. 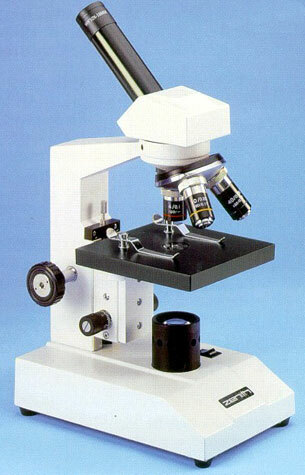 The heavy microscope base ensures stability. 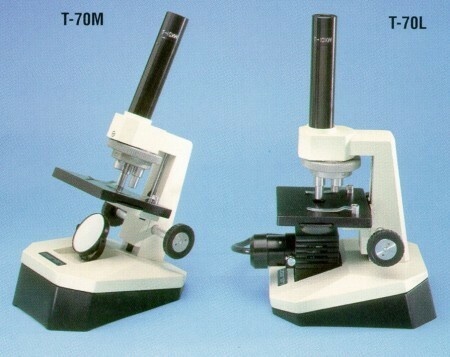 The long working distance of 231mm and a field of view of 20mm make it ideal for operations such as dissection and fine assembly work.